2.8kW Infra red spot heater. 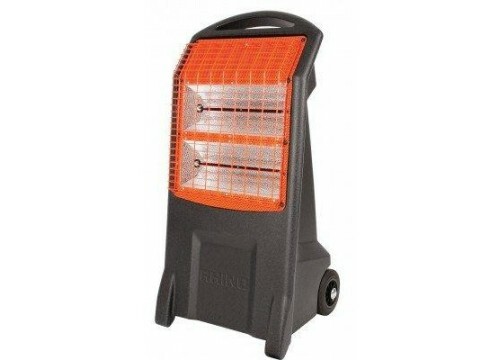 Powerful spot heater that warms objects and people rather than the atmosphere resulting in lower running costs. Quick and easy to use with simple on and off switches. (conveniently positioned at the back of the unit for safety and to stop tampering). Large rubber wheels and handle for easy manoeuvrability. Fully guarded at front for safety. Created from high grade heat resistant material, enabling it to withstand the rigors of heavy use.